Product #131 | SKU MB-FHCA | 0.0 (no ratings yet) Thanks for your rating! 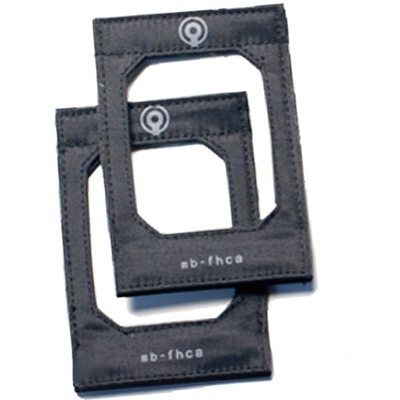 Each ballistic nylon filter holder holds one or two filters. The Filter Holders are sold in packs of two filter holders. One or two Filter Holders can be loaded into the Matteblox, allowing you to use up to four filters. The Matteblox can easily hold 4 Cokin P resin filters; using two Filter Holders at once. If you really want a lot of filters, you can use several different sizes at once. An extreme situation might include 2 Cokin A filters, 2 Cokin P filters and 2 100×100mm resin filters. We hope your filtering needs will be met somewhere in there.